Modest Inferentialism, the view that inferential role fixes the meaning of (at least logical) expressions, against a background grasp ofÂ meaning, has had a bit of a checkered history. In this piece, I showÂ problems with this view and criteria for a successful version of it. I show how the best extant version of modest inferentialism, due to James Garson, has trouble with these criteria andÂ discuss what is needed to overcome these problems. To solve them,Â I develop an interpretation of the formal model-theoretic conditionsÂ which Garson-style modest inferentialism generates for the classicalÂ rules for the connectives which, in turn, motivates a principled restriction on admissible models. 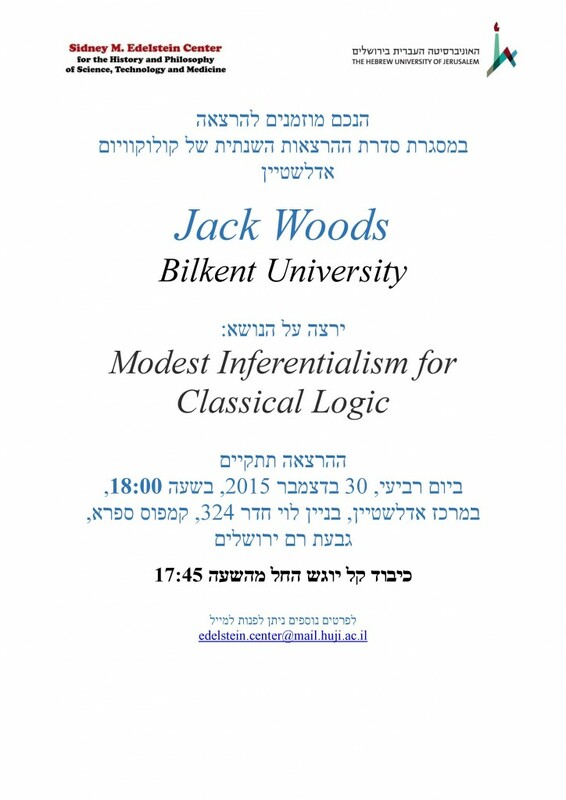 This involves a discussion of how toÂ represent contingency in a modest inferentialist setting, the role of anÂ intuitive interpretation in justifying side-conditions on models, andÂ what atomic sentences represent in this setting. This interpretationÂ satises the intuitive criteria for a successful modest-inferentialistÂ account of the meaning of the logical connectives; it is a strong contender, I reckon, for an internally satisfying account of the meaningÂ of the logical connectives|and one which does not extend to intuitionistic logic. This last point furnishes a not entirely disreputableÂ argument against intuitionistic logic in favor of something approximating classical.